I love this recipe from 5 Dollar Dinners because it is so simple! Veggies + oil + seasoning. I adapt this recipe for ALL of my veggies: beets, brussel sprouts, broccoli, cauliflower, asparagus, you name it. Choose in season veggies to ensure the most nutrient density and flavor. 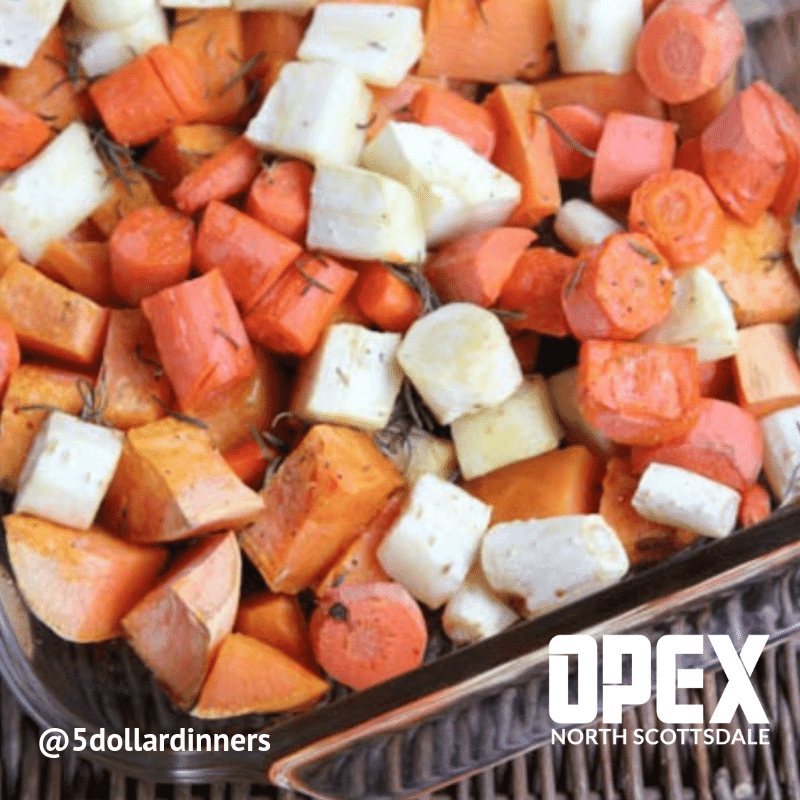 You just may have to adjust the cooking temperature and time depending on the veggies you choose.